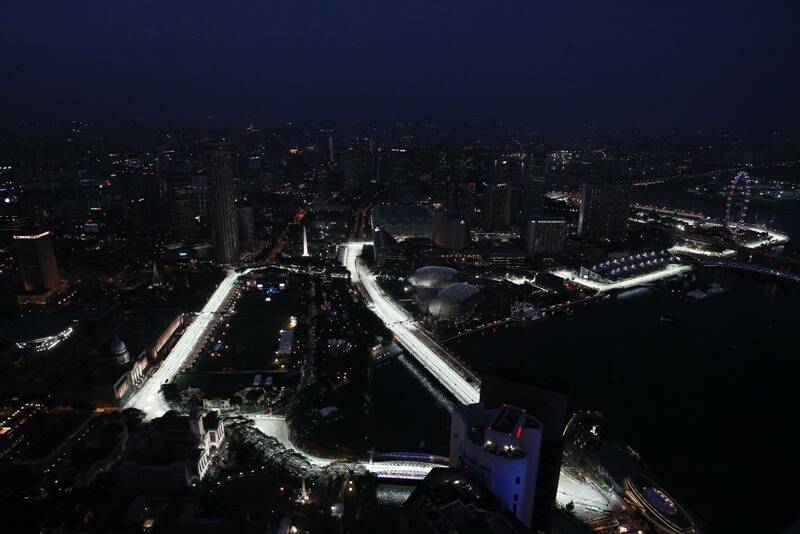 Singapore, September 19 2012 – As Singapore gears up to celebrate five years of night racing, some of the most experienced people in Formula One are keen to renew acquaintance with a venue that has quickly become a favourite for all F1 insiders. Take McLaren Mercedes team principal Martin Whitmarsh. With the team since 1989, he's a man who has seen it all – but never anything quite like Singapore. "It's a race that perfectly symbolises modern Formula 1," says Whitmarsh. "It's a brave departure from tradition that boldly works. "It manages to retain all the traditional elements that make a grand prix so magical, but the fusion of its oriental setting, glittering skyline and demanding high-speed course make it feel more like you're watching a Hollywood movie than an international sport. And that's fantastic." Everyone wants to know what the drivers think – they are, after all, the stars of the show. But for once they are quite content to let the setting take centre stage. For example, when a seven-time World Champion says your race is "brilliantly unusual" you know you're on to something. That's how Michael Schumacher sees Singapore's round of the FIA Formula 1™ World Championship, and the German is another man who's been there, done that: he clocked up his 300th Grand Prix at Spa-Francorchamps two rounds ago, he's won 91 times – though not here – and is raring to go at Marina Bay again. Like Schumacher, there are a number of World Champions yet to score a Singapore success. And like Schumacher, Kimi Raikkonen is also in the midst of a comeback after taking two years out of Formula One. "I really like going to Singapore," says the Finn, who won the title in 2007 and is a close third in this year's Championship chase. "It's a great place to be, I love the local food and I don't mind the unusual times we run in the car. I have some unfinished business after my two GPs there so far, as I have never scored a point." Yet another World Champion in the 2012 field still seeking his first Singapore win is popular Englishman Jenson Button. In fact the 2009 title-winner has only once been on the podium here, last season, but that doesn't stop him loving the place. "It's a unique and special race," says the winner of this season's Australian and Belgian races. "It was the first of its kind and Singapore has quickly become one of the best races on the calendar – it's a race that everybody wants to attend. During the race, you don't tend to notice that it's nighttime, but I think everybody in the grandstands gets a huge buzz from being at a race in the evening. It's totally unique." Schumacher, Raikkonen, Button: all World Champions and battle-hardened veterans, but their enthusiasm is matched by one of the youngest men in the 2012 field. That's Marussia F1 Team's 22-year-old Frenchman Charles Pic. "I am really looking forward to my first night race at this fantastic circuit, and actually, my first visit to Singapore," says the F1 rookie. "I have heard so many great things about this race, from the experience of racing under the lights to the fantastic city, so I'm arriving nice and early to get the measure of everything. We are back into unknown territory for me, which I'm really excited about."